El Estay is a place where these factors coincide. 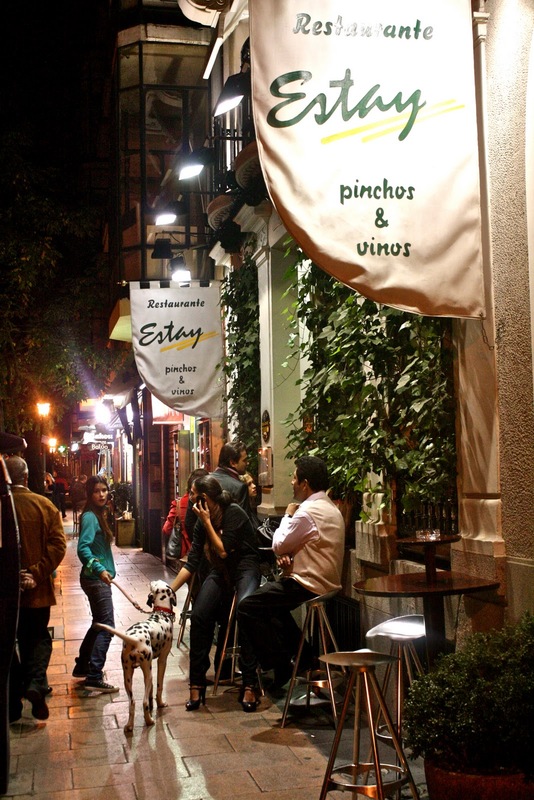 Age set aside, Estay is a place where the young and old, families and friends come pleasantly together to enjoy good Spanish food and a lively social setting. Upon entrance one cannot miss the buzz of people talking meanwhile the waitors dressed in white traditional tuxedos and black ties serve some of Spain´s most prized wines. The restaurant tends to be religiously frequented by local madrileños. The first floor is more for someone in the mood to picotear (have tapas), or sit at the bar enjoying a glass of wine accompanied by olives and manchego cheese. The second floor tends to those who come with more of an appetite, where tapas from downstairs suddenly become full course meals upstairs. Come for lunch or dinner, it´s a social hour NOT to miss!